We spent the entire day at the Mystic Seaport. In all my years of living in New England I had never been to the Mystic Seaport. It's been on my list to take the boys there but we kept putting it off and putting it off. Well, when we learned that this was educator's weekend and that as a homeschool family we would get in for free we decided it was finally time to check it out. The boys weren't all that overjoyed at the thought of spending the day in another colonial village (after having been to Old Sturbridge Village multiple times) and were a bit grouchy while getting ready to go this morning. But I knew that they'd love it once we got there. We have so much fun learning about history when we have so many hands on opportunities to experience what it was really like. Once there they were so busy they didn't have time for much complaining. We stopped in the general store and the lady inside held up various objects for the boys to guess their use and then she explained what they were and how they were used. We stopped in at the local church and saw how tiny it was. We walked through a whaling ship and saw all the berths, the galley, and illustrations explaining how they caught whales. We listened to the explanation of how they rendered the oil out of the fat from the whale and what parts of the whale were used. They got to try their hand at harpooning (though Alec was the only one brave enough to try it out). We sat through a planetarium show and learned all about the constellations that we could see in tonight's sky. Alec shouted out 99% of the answers (it was dark so hand raising wasn't an option and the guy asked them to call them out if they knew; and he KNEW!). I was amazed at how much Alec remembered from our constellation unit a few weeks ago and had to giggle when I heard my husband mutter "man, how do you know all that?" We Checked out all the cool anchors, chains, cannons and other shipping "stuff" that was set out around the village. We walked through the rest of the town and checked out most of the buildings. We watched the print setters at work and the boys inspected some of the tools up close. We watched the cooper make some barrels and heard the bell like ringing a tightly made barrel will make. Alec noticed roman numerals written around the outside and asked us what the x was. We told him it was 10 and the next thing I knew he was going around the barrel "14, 15, 16,.... 20"; teaching himself roman numerals! We watched the wood carvers carve a sign and watched the blacksmith at work for a bit. We wandered over to common where another blacksmith was at work and after waiting patiently and asking lots of questions Alec was chosen to help with one of the demonstrations. He got to help make a simple wall hook. He was so proud and remembered so much of what the demonstrator said from one demonstration to another. He was able to relate a lot of what he was learning to Minecraft and several of the kids watching all had a lot to input once the guide put it in terms of Minecraft. Showing off the finished product-- which he got to keep! We walked through several more boats; including the Mayflower II & the Amistad. The boys enjoyed the mini replica of Old Mystic and we walked around the whole thing. We also watched a breeches buoy life-saving drill. Before the coast guard came into play many mariner towns had life saving rescue teams. We got to see how they'd rescue stranded crew members from shipwrecked boats. We learned about clamming, got to see the sails inside the sail shop, and walked around a working shipyard. We learned about the steps in restoring boats and got to see what materials and techniques were used on refurbishing the Charles W Morgan. There was a mini cross cut Morgan on display in the ship yard so we could what it would have looked like full of cargo and crew. There were a few buildings we skipped/missed and many, many more demonstrations. There was just so much to see and do. 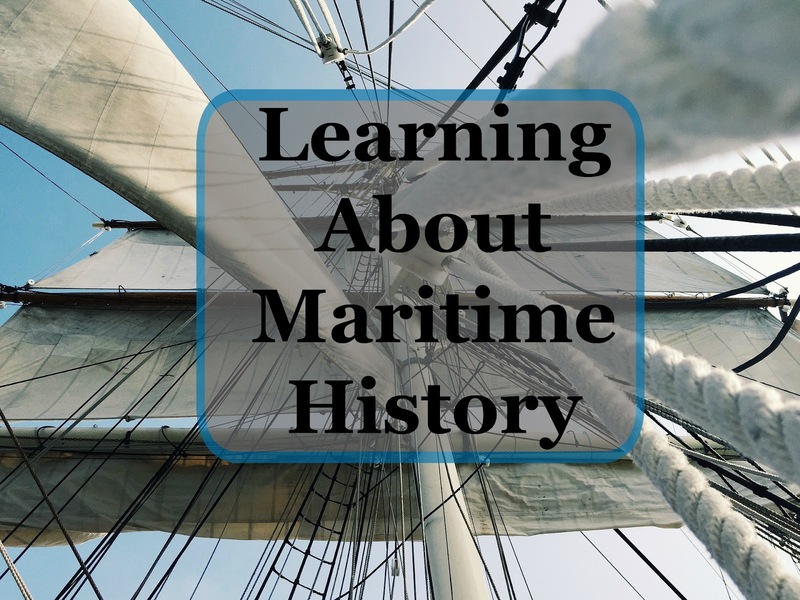 We had a great time learning all about maritime history. Look at all those piles of sail cloth! Cross section of the Morgan. It was a fun day; but chilly! It was so neat! They had lots of extra demonstrations going and we were so pleased with how "hands on" everything was.